It is very understandable that as a home owner security is of high value. We want to ensure the safety and preservation of our loved ones. Anything that contributes to the safety of family and friends, is an investment definitely worth research and consideration. On average, a resident possessing their own driveway gate is least likely to fall victim of a home invasion. Among various reasons, the obvious factors are gates provide more of an obstacle. Typically, a person who is seeking to burglarize your property will want it done fast and easy. "Gate Repair Santa Ana" is here to professionally install your first line of defense. 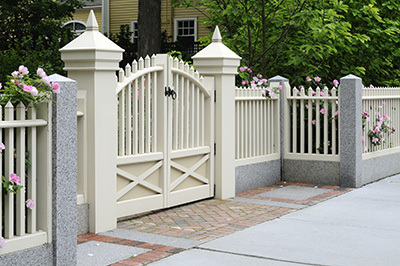 On top of providing additional security, driveway gates are a profound way to “set yourself apart” from the neighbors. With various options to choose from you are able to accent your home to your desired preference. Beautifully crafted wood, sleek and shiny steel, or elegantly bold wrought iron. There are also huge advantages of owning a system equipped with a driveway gate opener opposed to going manual. Either way the outcome is a very bountiful and rewarding experience. It is not often a person can improve his security while also expressing himself in a creative fashion. 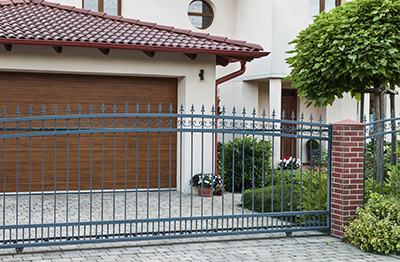 For those already familiar with excellent benefits of gate ownership, here at Gate Repair Santa Ana we provide all of the standard routine procedures offered to maintain quality gate performance. Thus including our troubleshooting service, where our staff will work hard to accurately identify and assess any issue at hand. Many issues encountered are due to poor maintenance. Your gate chain is literally the “life line” of your system. If left unattended it is subject to wear and tear due to weather conditions. It is also due to the fact that the chain is relied upon for weight distribution used to open and close your gate. Another substantially important maintenance requirement is alignment. A driveway gate must always remain precisely in balance. If this expectation is not met the gate may become jammed, or fail to open and close all the way. In extreme cases the driveway gate can become completely derailed and inoperable. Be sure to keep up to date on all of your routine maintenance to avoid any potential malfunction. So, if you are in pursuit of a stylish and effective way to increase your home security while adding your own creative flare, you have come to the right place. We look forward to servicing your residence and providing you with an upscale, high quality experience. There is no doubt that selecting our company as your provider will be both an excellent and beneficial life decision. Give us a call today!